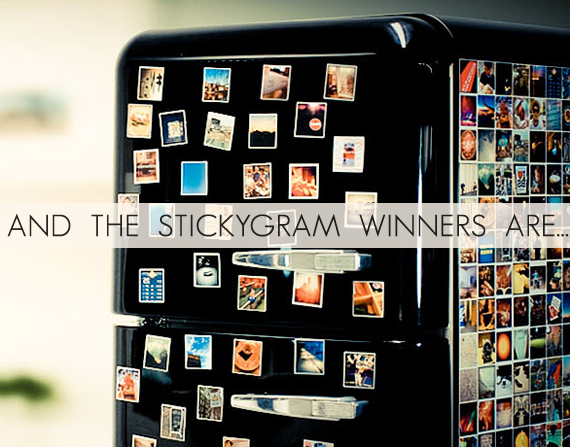 Bubby and Bean ::: Living Creatively: Guess Who WON the StickyGram Giveaway??! Guess Who WON the StickyGram Giveaway??! 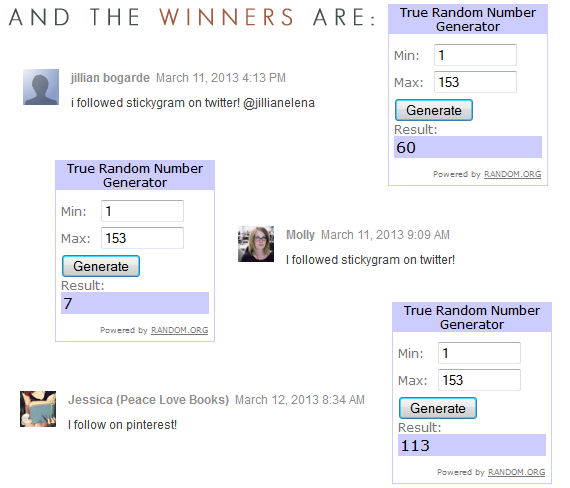 CONGRATS JILLIAN, MOLLY, AND JESSICA! Thanks again to StickyGram for giving Bubby and Bean readers the chance to win their magnet sets (we love ours!). And if you haven't yet, be sure to enter our current giveaway for a chance to win a prize package of six goodies worth $180!